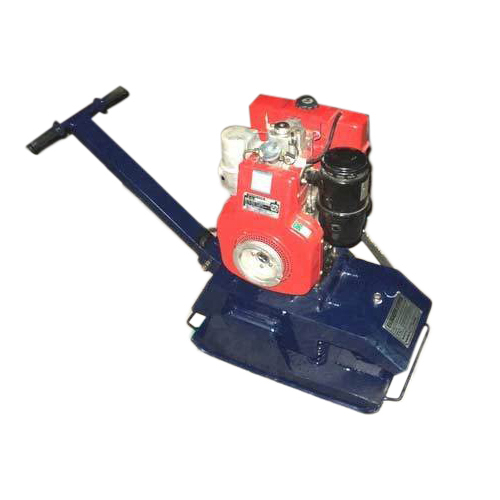 We are instrumental in manufacturing, trading and supplying Vibratory Plate Compactor that can be availed at reasonable prices. To cater to the varied client demands, we offer the series in several compaction capacities, compaction plate sizes, travel speeds and gradient capacities. Vibratory plate compactors feature forward direction for travelling. Designed for compaction of granular soils, this construction equipment applies vibration and weight to compact the material. This equipment easily and effectively compact material, like soil and asphalt. The vibration helps in decreasing all air voids. The equipment with its weight compact the layer. All confined areas can be covered to do compaction by this small size equipment. Horizontal force is generated by the machine during operation, in order to move in forward direction. When using this construction equipment, customer can be assured of easy operations and handling.